The Divas In Defense Event is coming to Metro on October 10 at 12:00pm! 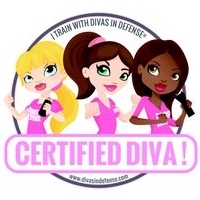 Divas In Defense is a defensive training group designed for women. They provide fun and energetic courses specializing in self-defense, non-lethal weapons training, and firearm safety and training. The courses are geared toward females aged 7 and older. Their pledge is, "I will Defend myself and my family. I always trust my Instincts. I will not be the Victim. I am Aware of my surroundings. I am a DIVA IN DEFENSE!" Contact Camille K. Warren for further details . . .